So, what’s the moral of the story? It’s a very simple one: “It’s a miracle! Stimulus dollars create or save jobs even in congressional districts that don’t exist!” What else? Now we know why he's taking his time over Afghanistan. 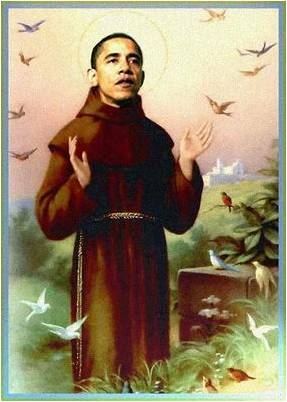 He's simply trying to conjure up another miracle there as well..
More control of the health-care system?